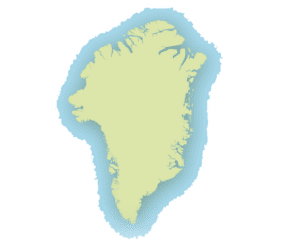 Greenland’s 57.000 inhabitants live exclusively near the coast. 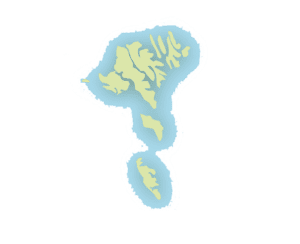 Most of the villages are on the West Coast between Kap Farvel and Disko Bay. Very few people live in the east coast. Until 120 years ago, there was no connection between the east and west coasts. North and North East Greenland from Qaanaaq to Ittoqqortoormiit is uninhabited. Both Kalaallisut (Western Greenlandic) and Danish have been used in public affairs since the establishment of Home Rule in 1979. The majority of the population speaks both languages. Greenlandic belongs to the Eskimo family of languages. It is a ‘polysynthetic’ language, which means that words are formed with a root, with one or more affixes and a suffix. 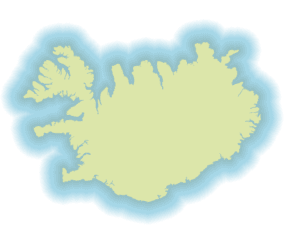 A Greenlandic word can thus be very long and can mean what corresponds to a whole sentence in other languages. Today children learn English at school. In the small settlements, the inhabitants usually don’t speak English at all, so it is good to learn some basic words when travelling in Greenland. Hunting is iconic to Greenland’s culture and most Greenlanders still hunt at least part-time to supplement their diet and provide skins for clothing and kayaks. In former times the people only wore clothes made from animal hides or skins. When the Europeans set foot in Greenland, they brought with them clothing fabrics and glass beads as goods to trade. These materials gradually become incorporated into the dresses, particularly for festive attire. Today the Greenlandic national costume is used on special festive occasions and at festivals such as Christmas, Easter, Greenland’s National Day, confirmations and weddings. Greenland’s National Day is a national festival celebrated on 21st June, the longest day of the year. All towns and settlements celebrate the day with a similar program consisting of music and entertainment. Musicians from Greenland originally played on a drum (qilaat) made from an oval wooden frame covered with the bladder of a polar bear. Unlike other drums, the qilaat was played by hitting the frame with a stick. Today drum dance is used as entertainment at cultural events and on festive occasions. Meat from marine mammals, game, birds and fish has been the main ingredient in Greenlandic food for generations. The high meat content in the diet provided energy and nourishment all year round for a physically demanding existence. The national dish in Greenland is ‘suaassat’ – boiled seal meat with rice and onions. ‘Mattak’ – raw whale skin with a thin layer of blubber is considered a delicacy. The Greenlandic sledge dog lives outdoors all of its life and can cope with the extreme arctic weather. The dogs are strongly built with a thick insulating layer of fat under their skin and need a certain amount of substantial exercise. It is for this reason that these dogs have been used as draught animals for at least 2000 years, first by Inuit hunters and then by arctic explorers. Despite its isolation and hunting tradition, Ittoqqortoormiit is not a showcase or a museum, but a living community, where the ingenuity of the inhabitants has led to a strange but most practical mixture of old and new. Age-old methods still however form the foundation of a successful hunt.